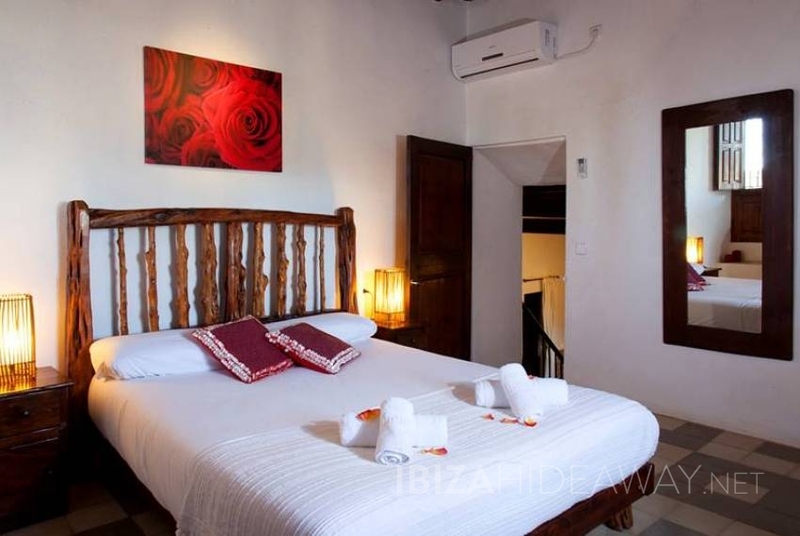 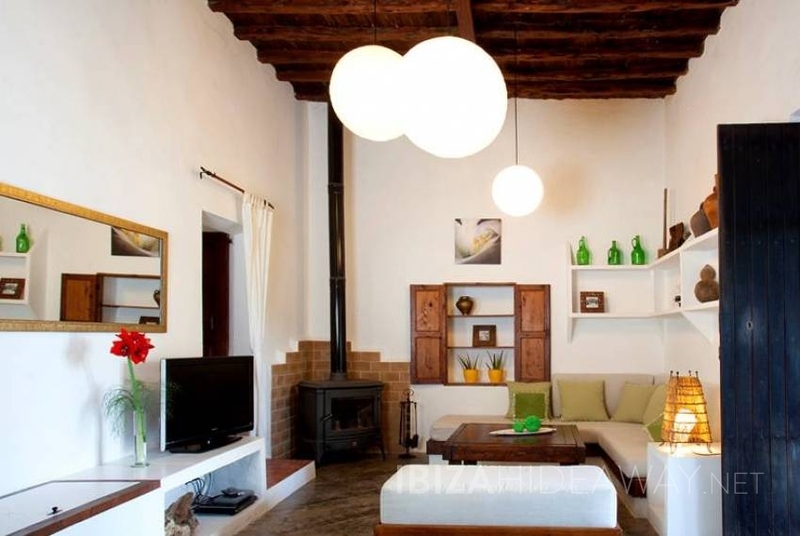 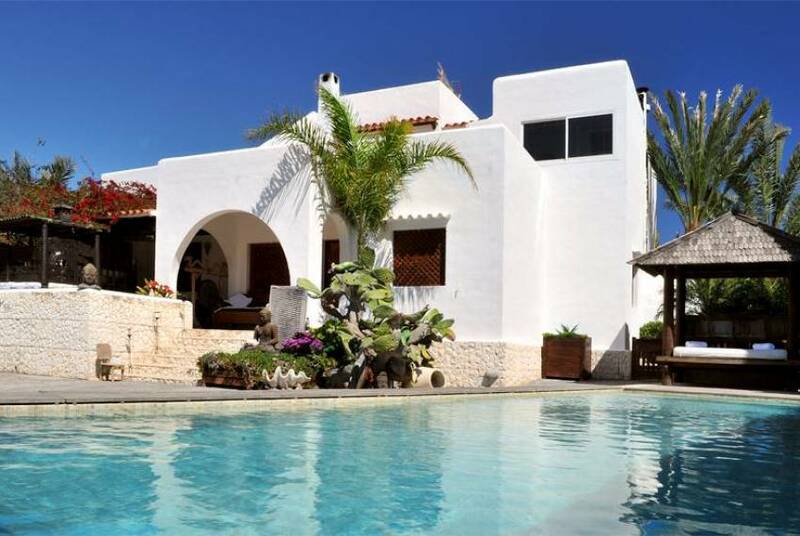 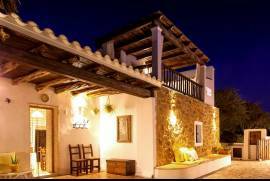 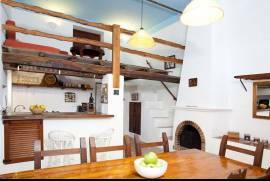 Go natural with this authentic, carefully renovated, Ibicencan country villa located within walking distance to the village of San José and just a few minutes drive away from some of the island´s most beautiful beaches. 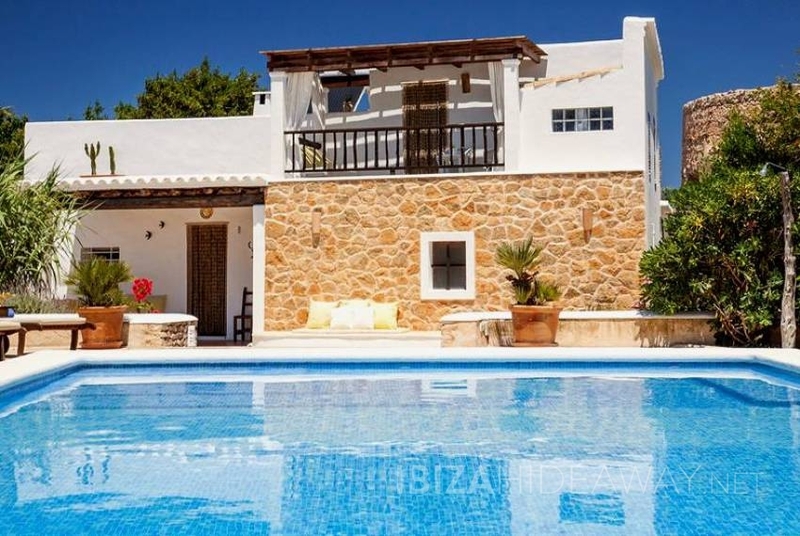 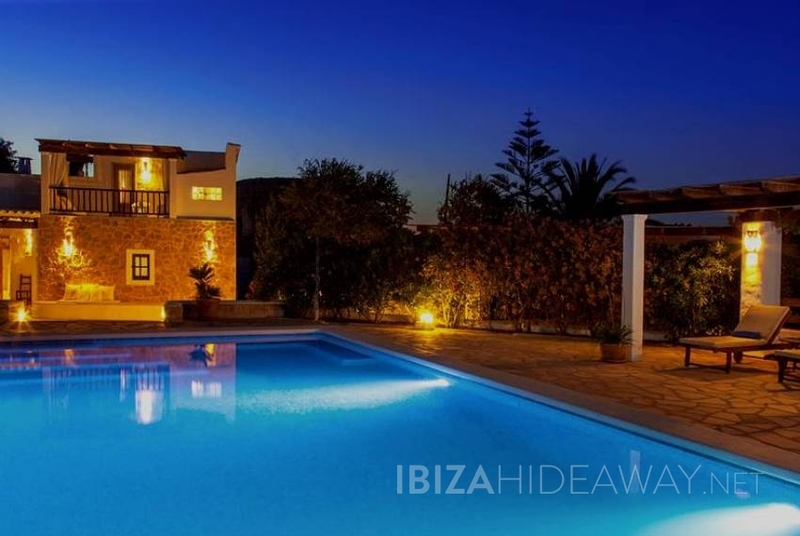 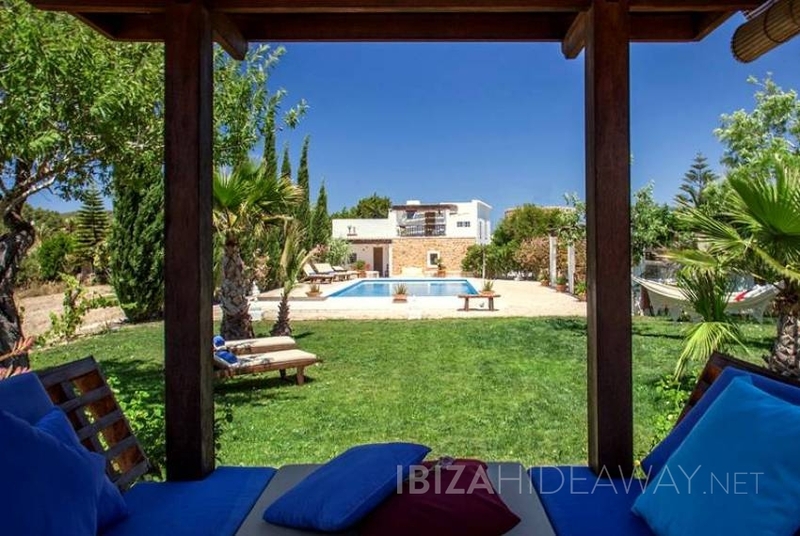 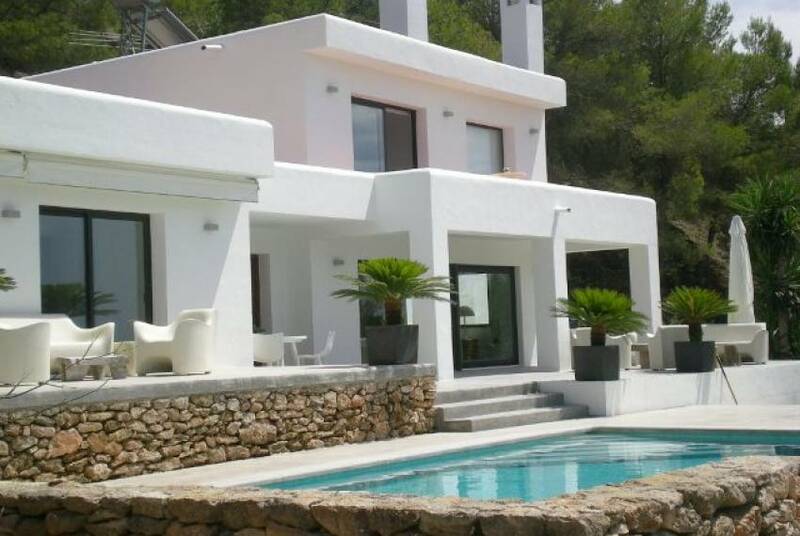 Villa Sergent boasts of more than 250 sm surface on two floors, 4000 sm garden, beautiful valley views over Es Cubells natural park due to its top hill location. 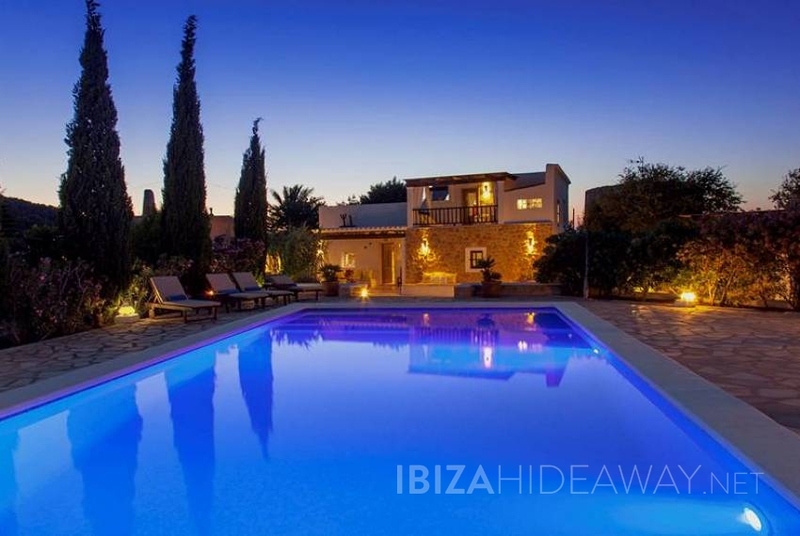 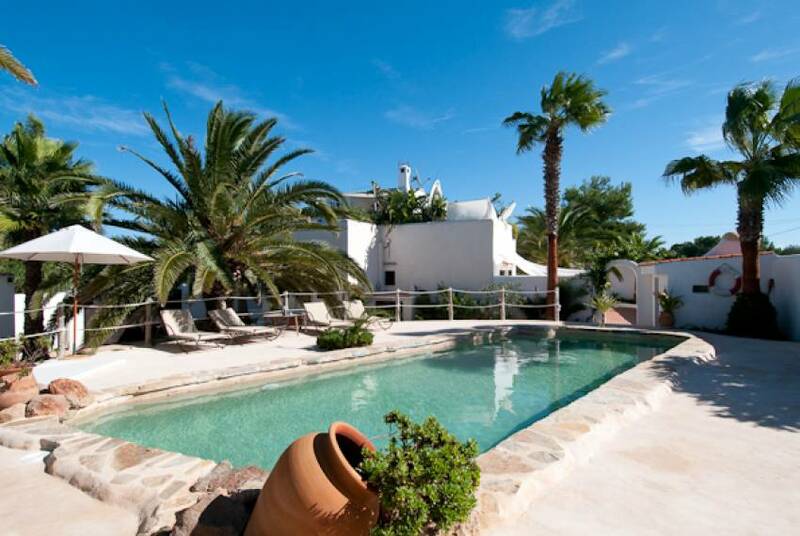 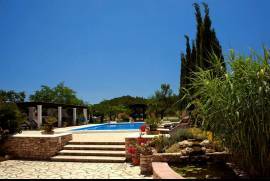 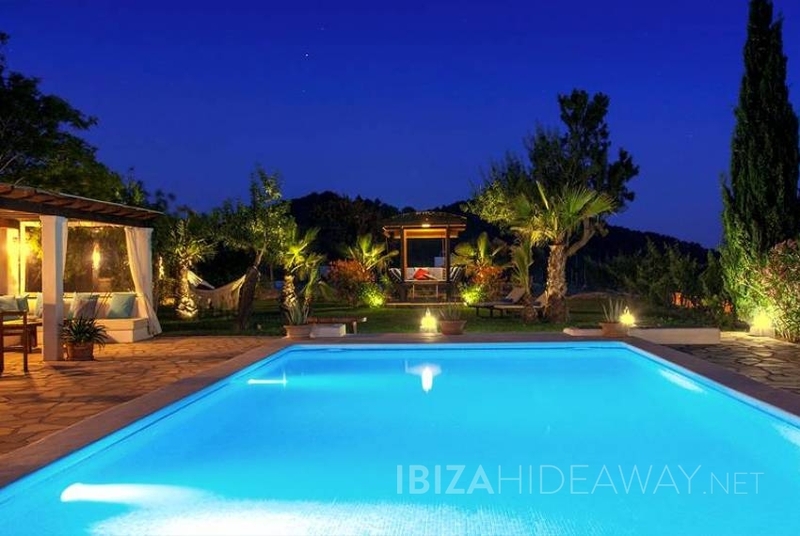 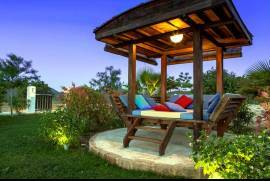 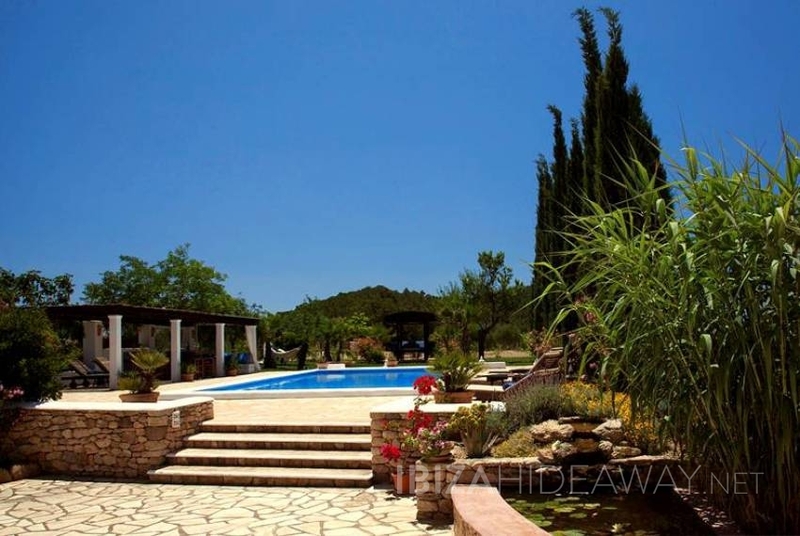 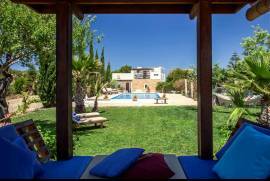 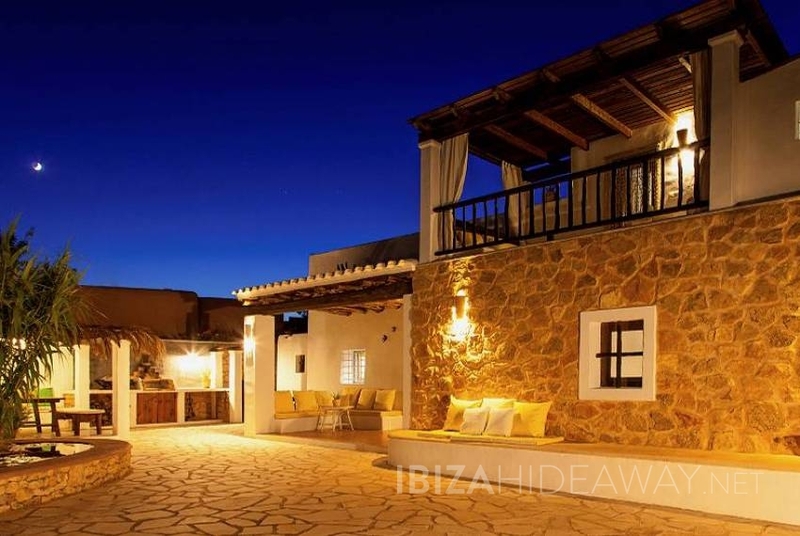 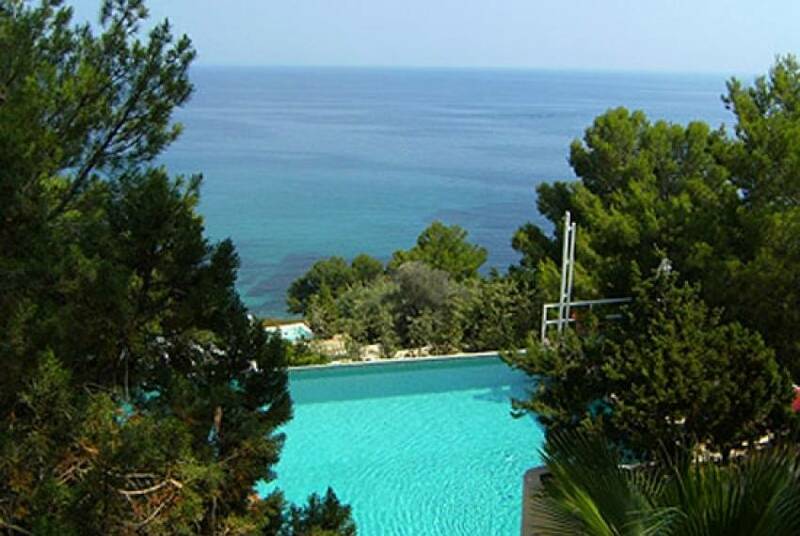 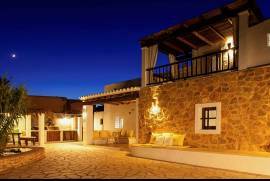 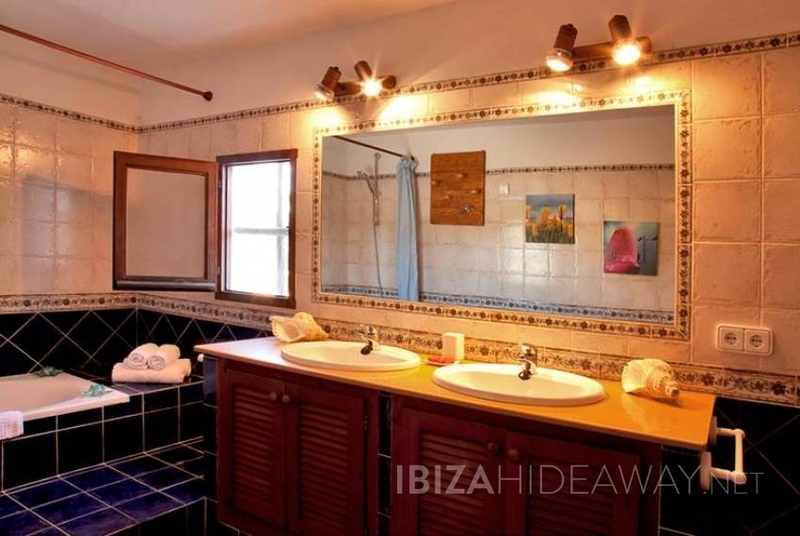 The property is at walking distance to the village of San José, yet very private and partly gated. 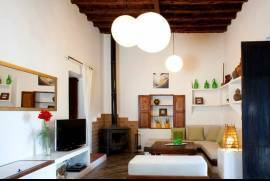 The origin of the house can be traced down to the 17th century still visible in its typical, ibicencan, structure. 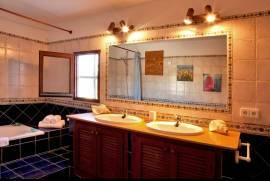 The building was renovated a couple of years ago respecting its original layout and distribution of the rooms. 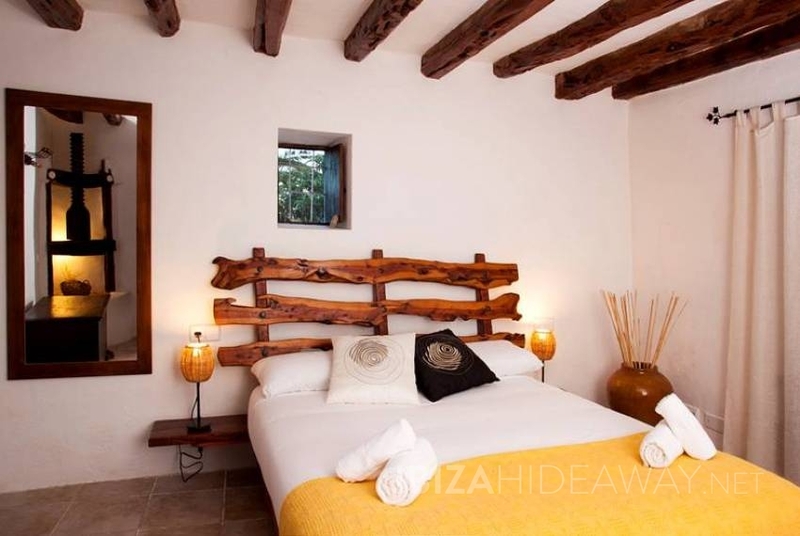 Smell the honey-like flavour of the restaurated original Sabina beams under the ceilings of each room, enjoy the cool feel when walking barefoot on the creamy coloured stone and tile floors, and enjoy the tranquility of this flower fragrant hillside chilling away on the comfortable beds by the pool (10 x 6 m). 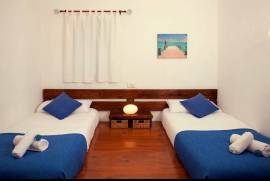 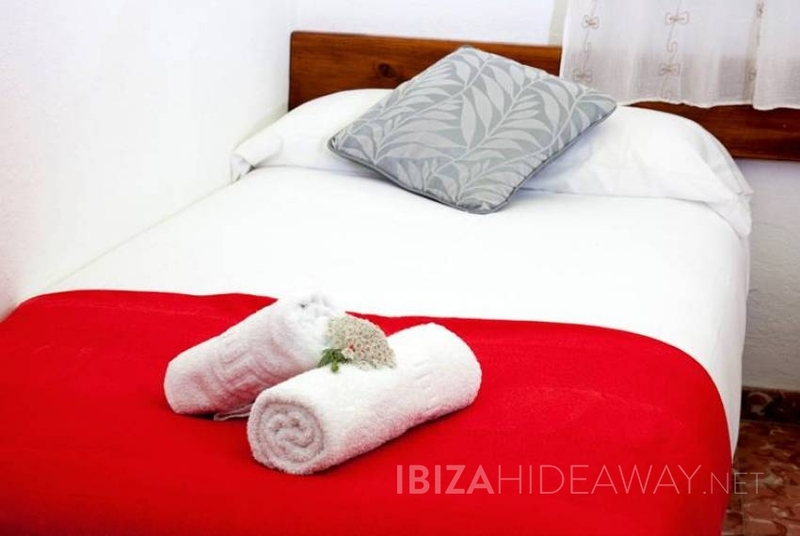 Two double bedrooms are equipped with their own tv., two bedrooms with two single beds each, two bathrooms, fully equipped kitchen with separate storage and laundry room with washing machine. 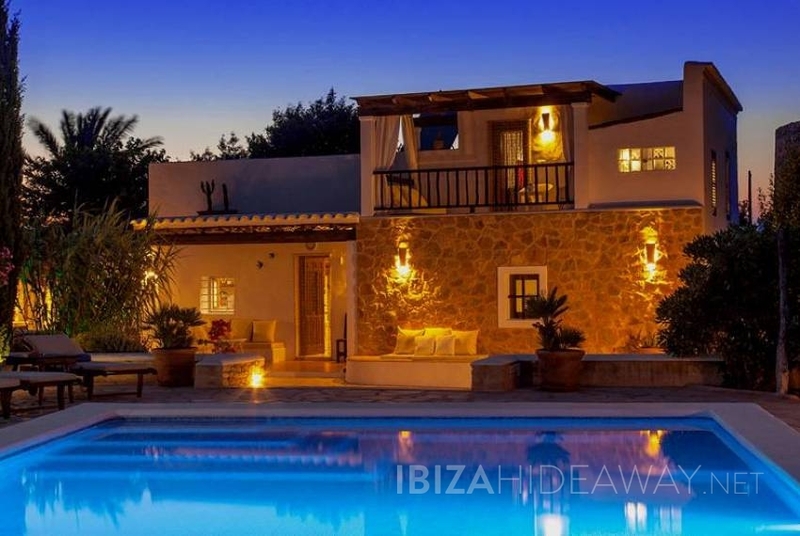 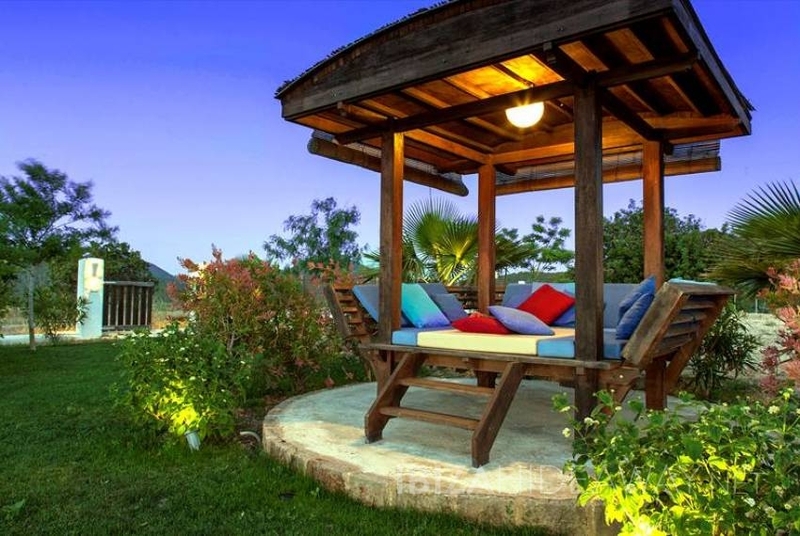 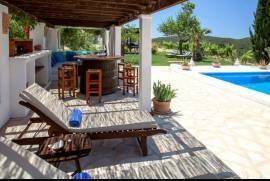 Outside the villa offers a spacious bbq and outdoor kitchen, covered chillout area with comfortable sofas by the pool with outside dining facility for 10 guests.